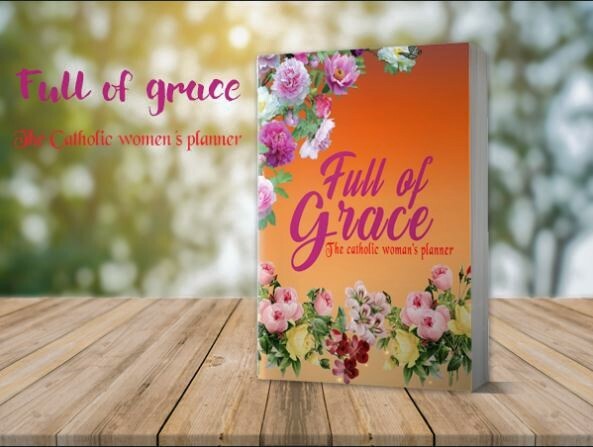 CLIFTON, NJ, September 14, 2017 /24-7PressRelease/ — Full of grace, in their new 2017-2018 woman Planner have included all a catholic woman needs to plan her year with God, one day at a time. Common catholic prayers and how to pray the Rosary guide and many more amazing features make this planner, THE PLANNER OF THE YEAR! Inside this essential must have catholic woman planner you will find: Monthly layout, weekly layout, Daily layout, To-do list, Grocery list, Weekly eating plan, Weekly prayers, Notes and reminders, saint of the month story and reflection, and much more..
Planner will be available on Amazon soon!